Water shoes are not reserved just for the surfers and white water rafters. Protective footwear is critical for all sporting/fitness activities. This is particularly true for swim fitness. You wouldn't dream of going barefoot in the weight room would you? The standards of excellence should be the same for the swimming pool. Swim fitness offers an intensity level for everyone from aquatic kickboxing to water aerobics to water walking and the list goes on. While the activities vary, the need for a water shoes is the same - even full immersion swimmers should have water shoes for the slippery and bacteria laden pool deck. The question becomes what shoe? The versatility of water shoes has been greatly under rated. That tide is changing. Barefoot runners are even getting into the action with discovering the ultimate comfort combined with protection for their feet that serves to prevent blisters and infection. 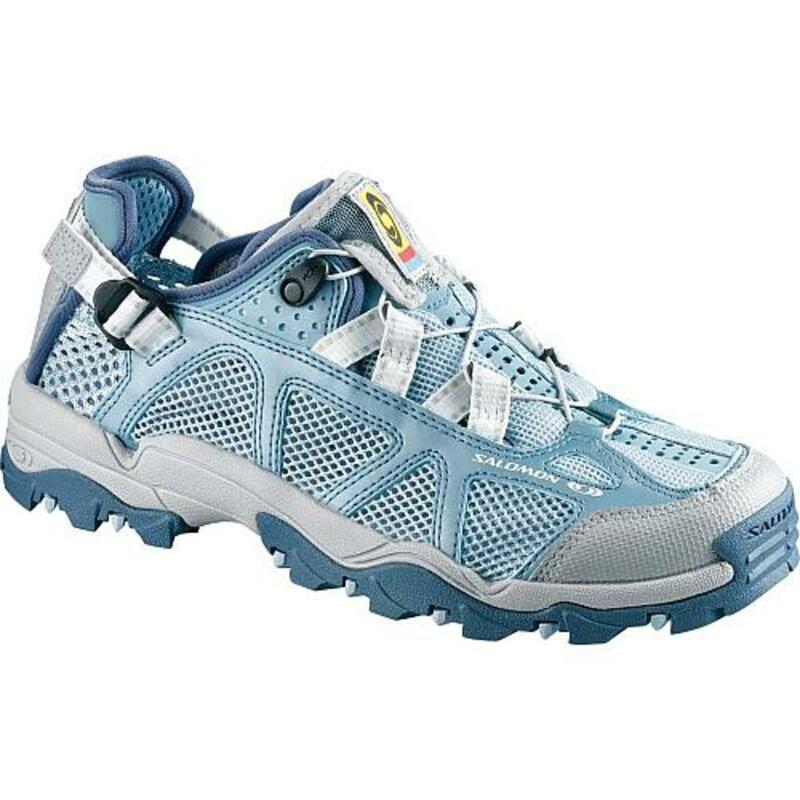 Water shoes are a needed piece of equipment for fitness and sports but they have also found a great following with runners - ironically barefoot runners - runners who demand the ultimate in comfort and economy. Journey with us as we explore the different needs and uses of water shoes from scuba diving, sun bathing to synchronized swimming. Who better than to guide us than Mattel's very own Barbie. Mattel's Ken was legendary for always being off surfing but Barbie covered all the sports. Learn with us the purpose of the shoes and learn a brand new use for water shoes - in lieu of running barefoot! Learn about the brands and their special features including the Teva shoes with five toes! Learn why bikinis mandate no shoes and stay with us through the end to great videos on aquatic kick boxing and much more. Every swimming pool deck demands water shoes. Boating and bikinis are the exception in water sports. Join us and listen to Kenny Chesney's No Shoes, No Shirt, No Problems and journey with us as we explore everything about water shoes. Kenny Chesney is right, boating doesn't demand shoes but swim fitness does demand shoes. Additionally, bikinis demand no shoes but swim fitness needs water shoes. Within swim fitness - full immersion swimming and swimming laps with fitness tools and also synchronized swimming all demand no shoes when in the water. This doesn't mean that you don't need water shoes. Water shoes on deck are still needed. Learn why and when. Street shoes are not appropriate for the health club. Likewise, bare feet are not appropriate for wet settings such as swimming pools and hot tubs. Bacteria loves water and thrives upon warm water. Because bacteria loves water and always thrives on warmth, protecting your feet at public swimming pools, water parks, beaches is a real health concern. You wouldn't consider attending a health club with out the proper fitness tools of sneakers and a water bottle. So too, with the swimming pool, shoes - water shoes ARE necessary. We will cover the health concern from going barefoot in more depth in a moment. Let's get back to the basics of terminology. Water shoe terminology varies. Everyone has a different name for this much loved shoes. Sadly, many people do not own a pair. The big boxes are changing this but I continue to see new fitness club members in the swimming pool without protection on their feet. Even infant water classes have babies without protective shoes. My husband like to call the infant water shoes Todder Waddlers which is very descriptive as infants cannot walk they are waddling. While we think of waddling in adulthood as our walking gait for an infant, the they are truly waddling! The fabric is soft and feels nice and the sole is very elastic. The shape of the shoe is too pointy, though – not much room for your toes. Overall the shoe looks very cheap (which it is - it even comes in a plastic bag), and you can’t keep from wondering how long they will last before falling apart (we will return to this in a moment). Water aerobic shoes demand both comfort and security. Adjustable plastic closures for these water shoes are not recommended. Each type of swim fitness activity may demand a different type of shoe. 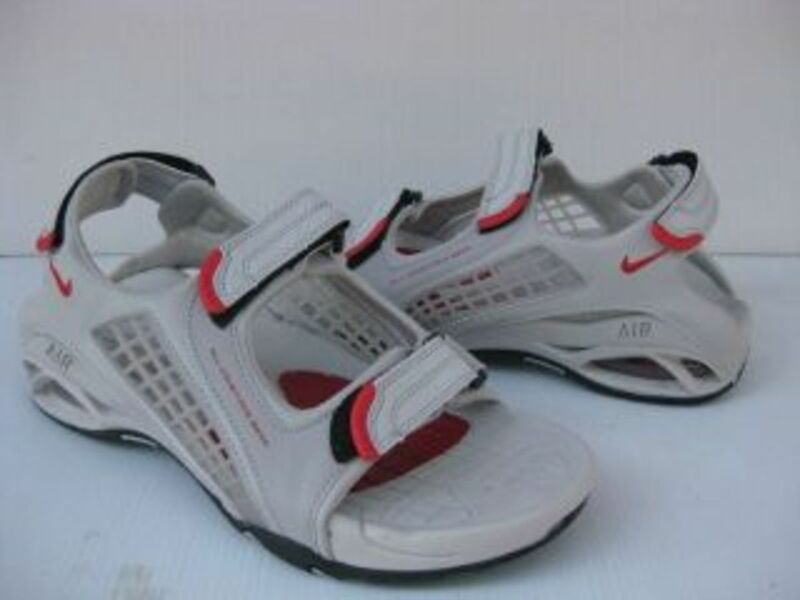 Water aerobic shoes for example, demand both comfort and security for the closure of the shoes. For this reason, Velcro® or the proper term since this term is a registered trademark, "adjustable plastic closure" for water aerobics is not recommended. "... with machine washing and all, is insane for a shoe that cheap. And the best part: The shoes only get better as they wear out – the sole becomes thinner and more lightweight along the way. An almost worn-out water shoe is simply a brilliant minimal shoe." "Running in water shoes is a really great experience. You will appreciate that they don’t weigh much more than your socks (which you can keep off, unless it gets really cold). If it was not for their poor breathability and the fact that your toes are pulled a bit together I would say that we almost have the perfect running shoe. They offer minimal protection, which is what we are looking for – meaning that they become a small piece of extra skin under your feet. Your skin still gets to toughen, which is especially important when running or walking barefooted. Leather skin is a must (though your zone therapist might not think the same). Tue is a shoe reviewer interested in minimalistic footwear that allows the body to move naturally and injury-free." Brilliant Minimal Solution - worn out water shoes - the more you wear them and have impact on the pavement, the thinner and more comfortable they become. Wool Socks and Water Shoes - take the insole out of the water shoe and include a pair of wool socks. Then you have the best of both world, a shoe that completely conforms to your foot and the softness and warmth of the woolen sock. When you purchase the water shoe, examine the sole of the shoe very closely. What you want is a full rubberized sole for durability. If it is coated rubber, the durability will be much less. If you shop well, you will have one of the most economical and comfortable pairs of shoes for running outdoor in lieu of running barefoot. Also, treadmill, health club aficionados take note, water shoes are great for the tread mill and weight equipment. Synchronized swimming is a part of the Olympics but often forgotten. Take note, no swim shoes are needed for deep water. For the sake of our health and safety, every public pool should mandate water shoes. Water shoes provide traction on slick surfaces which are common to wet swimming pool decks. Water shoes also protect us against bacteria. Remember bacteria love water and thrive in warm water. 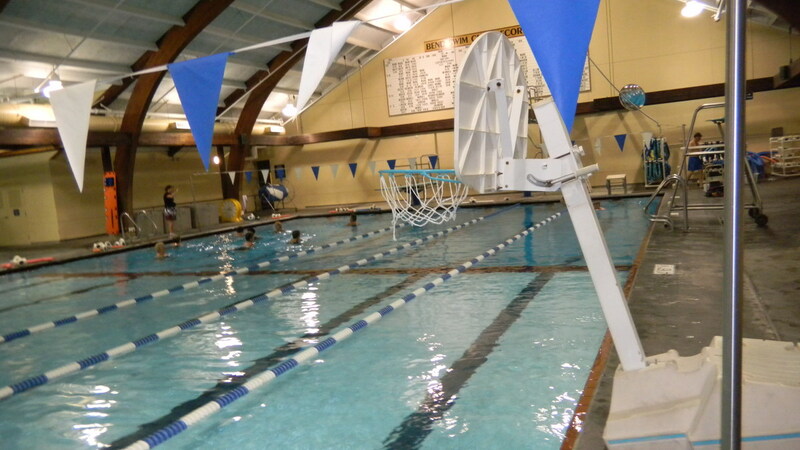 Entry to the pool should include the safety measure of wearing a water shoe from the locker room right up to the very edge of the swimming pool. Since the introduction of Barbie over 50 years ago, medical science has made significant progress. Today, science and research has taught us the importance of nutrition and portion control. We have connected the dots of obesity to disease and organ dysfunction. We have saved millions of lives with new procedures such as open heart surgery, organ transplants and more. Major inroads into the improving the quality of life have been made with new medical services such as joint replacements and, physical therapy. In the past 5 decades, medical science has minimized hospital stays and increased care. Athletic gear has also benefited too with new technologies in fabrics and materials bringing to us greater durability and comfort. Often called "performance fabrics", the engineers for textiles have been working overtime and it shows especially well in fitness clothing. Sadly, with all these advancements, water exercise while gaining momentum, is a silver bullet that is not promoted or fully understood. Water shoes are a pivotal part of the swim fitness industry. Even for land based exercise programs, the locker rooms, the showers have serious health concerns for protecting the soles of our feet. Ruth Handler's invention of the Barbie doll was meant to showcase women "We girls can do anything". Ruth Handler promoted the Barbie against all opposition from industry experts. Her marketing acumen was revolutionary not just with the invention of the television but in her delivery method and the creation of a brand. Water exercise needs a brand. Swim fitness is an emerging industry that has already helped millions of people. Water shoes are simply another extension of not just the swim fitness industry but the fitness industry overall. Locker rooms demand water shoes. Wet decks demand water shoes. Water shoes are the armor that protects us from harmful bacteria that thrives in moist and warm environments. Understanding the relevance of the question requires some background that has little to do with podiatry. The bare-feet question relates to diabetes, amputation of limbs, demographics and equal access to quality health care. "AEA recommends the use of aquatic shoes for most shallow aquatic fitness, especially programs involving impact or traveling movements. Shoes reduce impact stress to the weight-bearing joints, allow for better footing during grounded techniques, increase traction during traveling patterns, protect the feet from injury and improve the quality of the workout. Shoes are especially important for individuals with the following special considerations: pregnancy, obesity, diabetes and musculoskeletal disorders. For a traditional non-impact deep-water format, shoes would not be required and may not be preferred if they hamper full range of motion at the ankle, especially during plantar flexion. However, shoes (depending upon the type selected) may provide additional weight to the legs that can assist in maintaining correct vertical alignment. Additionally, specific resistance shoes are manufactured to enhance training benefits of water exercise and these may be incorporated for added intensity. Shoes should be considered when walking on deck and in dressing rooms to reduce the chance for slips and falls. Shoes may also be needed for safe entry and exiting of the pool. Street shoes should not be worn in the pool area to reduce contamination and the potential spread of disease as well as general safety considerations from possible slips and falls. Shoes worn in the pool should be used exclusively for this purpose. Aquatic Fitness Professionals on deck should wear appropriate footwear to absorb shock, provide stability and prevent slipping." Of all the different fitness programs available in the water, aquatic kickboxing is simply the very best. 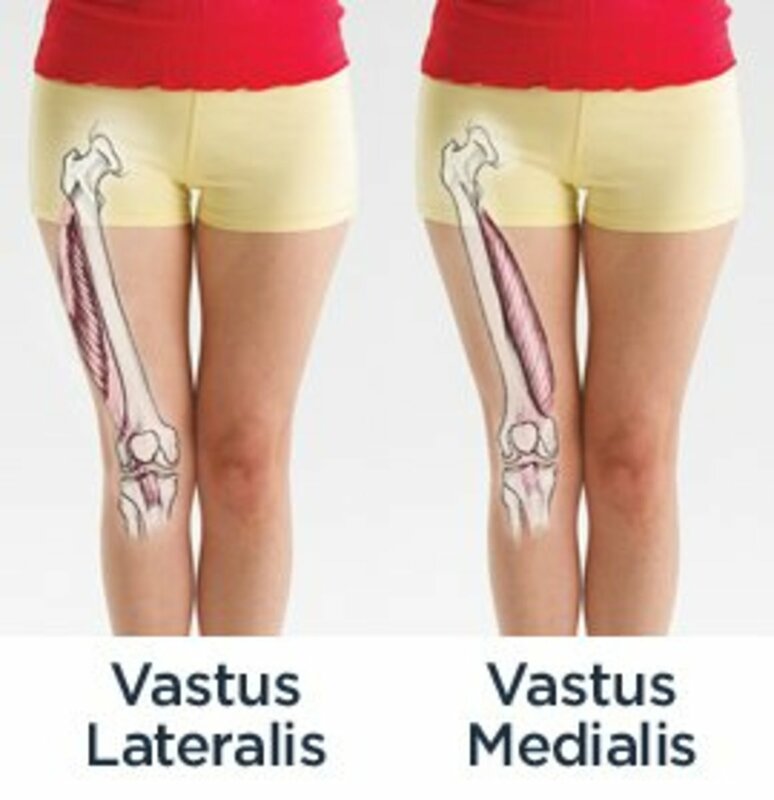 It focuses upon the legs, it hikes up your heart rate - best cardio workout around all the while toning muscle in you legs. 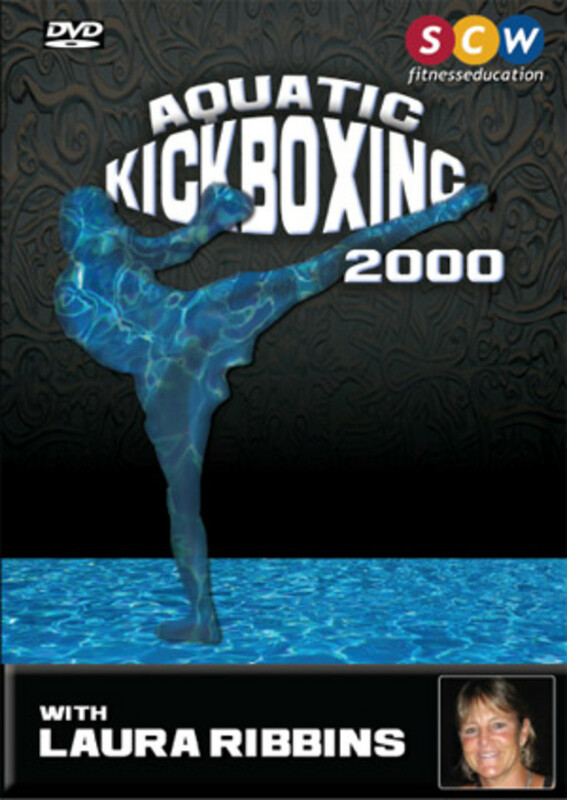 Kickboxing in the water is not about what the aquatic professionals call "rebounding", the exertion and the muscle tone is created with the kick not the impact on the swimming pool floor. The water shoe add protection for the sole of your foot when you are grounded on the pool floor and also adds resistance to your kick. Swim fitness offers an intensity level appropriate for every individual. If you are only exercising on land, you are missing many great exercise programs. If you have an opportunity to try kick boxing, make the effort, I promise you will not regret it. Swim fitness classes such as kickboxing in the swimming pool are great for both men and women. Remember the swimming pool is accommodating to all fitness levels. You can set your own intensity level during your kick boxing class. Talk to your instructor before your fitness class so you can receive alternative movements designed to meet your fitness needs. 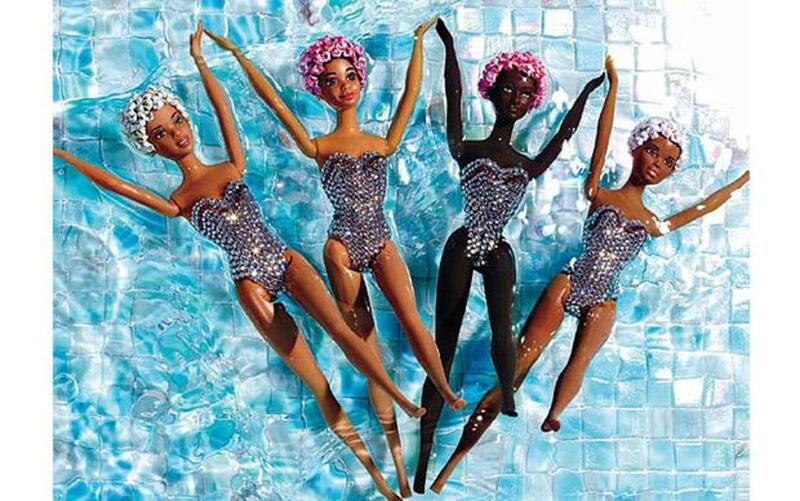 The very first Barbie in her black and white striped one piece swim suit showcased fashion shoes not water shoes. Combining jewelry and high heels with a swim suit is very alluring but not at all practical. It is interesting to note what shoes are paired with swim suits - one pieces and bikinis too. Join me for a quick review but first let's review our real purpose - swim fitness - why the mandate for the water shoes? First we must fully understand the culture of swim fitness. Sadly swim fitness is the stepchild with little appreciation in the fitness world. Why? Perhaps it is because swim fitness ala water aerobics of all forms has been tainted with the vision of the "74 year old frail grandmother". Or perhaps swim fitness is discounted as too easy because it is so widely successful with water therapy. Or perhaps swim fitness is shunned because the first thing you think of at the very mention of aquatics is a swim suit! The swim suit is gorgeous and beautiful and very appropriate for full immersion swimming. The bikini is great for sun tanning and let's face it - creating lust. The bikinis is very fashionable and will forever be apart of our apparel. However, I must ask if either one is really appropriate for swim fitness? Swim fitness such as high intensity water aerobics, aquatic kick boxing, water calisthenics, aquatic zumba and the list goes on sadly has no uniform. Tennis has specific apparel, soccer, football, baseball of course. Full immersion swimming has the classic mallet....one piece swim suit but alas swim fitness has no uniform. Many of my clients often choose to wear Under Armour long sleeve shirts. In fact, I sometimes wear mine. There is a website devoted to nothing but keeping warm in the water. Wouldn't it be wonderful if Under Armour or Nike recognized the need for a true fitness uniform for swim fitness? It is interesting to note as shown in these two videos - no shoes. Did I need the videos to prove my point? Certainly not! The videos are just simply fun showcasing the side benefit of great health and fitness - physical beauty. Take, note, the proper attire for "bikinis" mandate no shoes. Kenny Chesny would most certainly agree! Sperry is the top boat shoe manufacturer here in the US, perhaps in the world. Boat shoes are designed for water. Necessity is the Mother of all invention. The first need for a water shoe must have been for the sport of scuba diving. The neoprene keeps the divers warm and protects them from the elements of the rough rocks, sand and/or coral. Often called the scuba sock because it slips into the fins. The sock or water shoe protects the scuba diver from the friction of the fin. My knowledge is limited on scuba diving. If you have more information, about the sport or the history, please feel free to leave comments below. Just as tennis shoes are designed specifically for the needs of the sport of tennis; just as golf shoes are designed specifically for the sport of golf and football shoes, soccer shoes, and the list continues, so too with water aerobic exercise shoes. While it is clear I believe of field of water exercise is best described as swim fitness which encompasses both full immersion swimming and all other forms of movement in the swimming pool designed with the goal of fitness, water aerobic exercise shoes are needed for water aerobics and this includes as we discussed before - aquatic kick boxing. What makes the water aerobic exercise shoe work so well? It is designed for impact on the swimming pool floor. The AEA, the Aquatic Exercise Association's "recommends the use of aquatic shoes for most shallow aquatic fitness, especially programs involving impact or traveling movements." 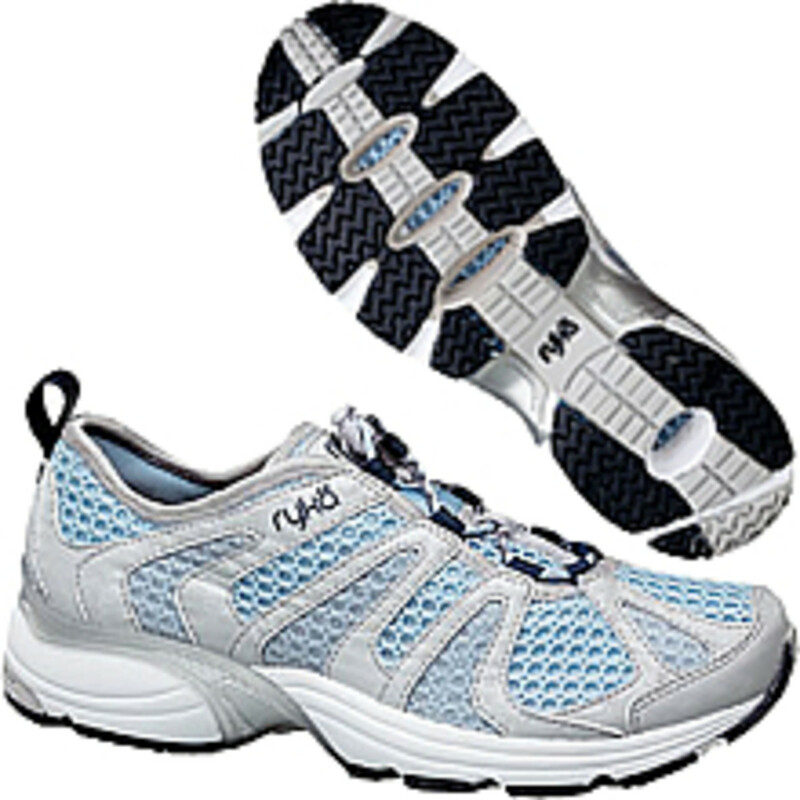 What Distinguishes Aquatic Exercise Shoes Among Water Shoes? 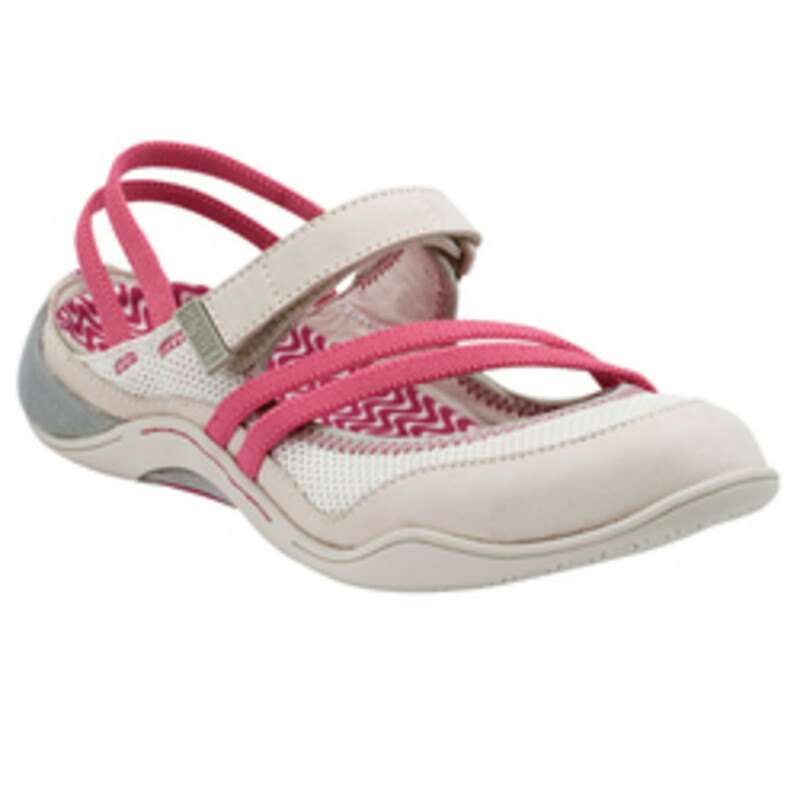 Aquatic shoes such as Techamphibian and Ryka offer swim fitness water shoes specifically for water aerobics. For water aerobics, look for "sneaker like soles" and elastic ties for maximum comfort and durability. You will pay more for the water shoe for the water that looks and acts and reacts like a sneaker but for water aerobics this is the recommended type of shoe. Beach shoes, Wavewalkers, shower shoes and swim slippers all serve their specific purpose. First understand your activity and then your need will guide you to the proper shoe. Learning about fitness and the importance of muscle tone and cardiovascular health is the first step in improving our health. it is through better education and training that we can raise the standards of excellence in our food and our health. The medical advancements in the lifetime of the Barbie doll are significant. In just 5 decades, we have "invented open heart surgery", we have invented "stints" for a variety of purposes including the heart, we have invented vaccinations and flu shots. We are refining our food labeling. We are learning about the impact of salt on heart disease and stroke and we are just beginning to appreciate water exercise. In the 5 decades of Barbie, the mantra that Ruth Handler envisioned of "We girls can do anything" still rings true today. While our medical and health knowledge has changed, our proper use of protective clothing for swim fitness is just beginning. 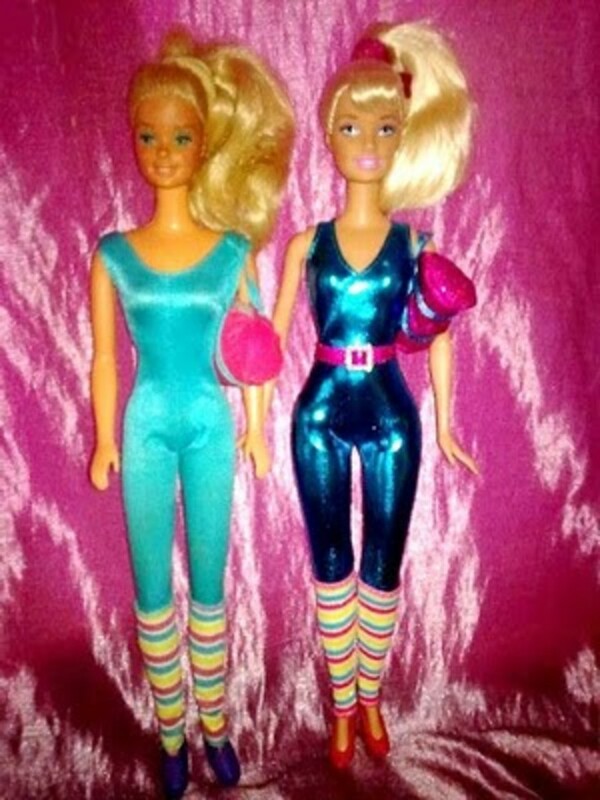 And while the Great Shape Barbie remains in "great shape", the Great Shape Barbie doll has been refined with more curves. Same cute ponytail, aerobic outfit almost identical but note the change in the hips and thighs. Being in great shape is not about just being attractive, it is all about health. The proper attire, especially in shoes is a major step forward in this evolutionary process (sorry for the pun - I just had too!). Water shoes are not magic slippers but all of us do have magic within us just like Dorothy's ruby red slippers. While the original book showcased silver slippers and red was chosen for the new invention of color television, the magic within all is still present and as true today as it was decades before. We all have within our ability to improve our health with physical exercise. Water exercise is an alternative that offers an intensity level for every possible need. Just as Barbie has showcased, "We girls can do anything"; just as the Wizard of Oz details the power is within us; so too, we all can make a major step forward in our fitness routines. Check out the many new water exercise programs - from aquatic kick boxing to synchronized swimming to target toning to Zumba. All exercise in the water is fun. The water may be your yellow brick road to better health and fitness for you and your family. Informative hub! THanks for sharing. I had one and it is really great for swimming. Swim shoes are a great item for safety - slipping, falling and bacteria. nice theory about swim shoes i read it. I didn't want my water shoe article to be dry so I had to add Barbie in to spice it up. I am so glad my attempt to entertain with photos from Barbie and videos from water aerobics has been noticed - thank you very much! It is a very informative hub and interesting as well as entertaining as well. You are too good to me - thank you so much for your high praise. I was surprised at the lack of information about this great shoe. Shoes are loved around the world but water shoes seem to have been forgotten. The barefoot runner is fascinating. I just converted one of my pair of water shoes to a lake walk shoe - will keep you posted on the journey. You're a great writer, imagine it, so many types of water shoes, you're right, water shoes are more practical, light enough to be wore. I love my sneakers but the water shoes are more practical for many activities. It was a hard article to write - finding all the different kinds and the purposes and when water shoes are not worn - something I had to hunt for. Wet sneakers are difficult. Water shoes are a great alternative. Wish I had water shoes when I was gardening so much. I didn't know there were so many types of water shoes.I do love them alot.When I grew up you had to where sneakers and when they got wet it wasn't nice.